The norovirus is shutting down ECS campuses. 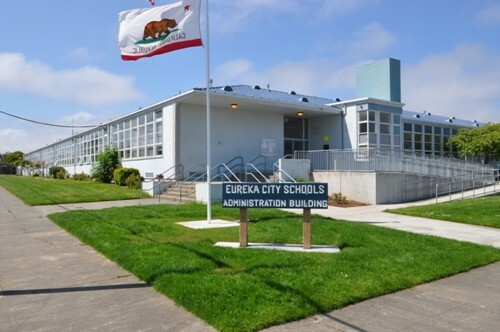 Eureka City Schools is confirming that all of the district’s campuses will be closed on the Thursday and Friday before winter break to try to stem an outbreak of the norovirus that closed down South Bay Union School District's three campuses last week. ECS prepped parents for the possibility yesterday by announcing that absenteeism was above average and administrators were working with the county Department of Health and Human Services to evaluate the situation. “This was a difficult decision to make; however, we believe it is in the best interest of our students, staff and families. We look forward to the return of our students on Monday, January 8,” Superintendent Fred Van Vleck said in a district release. Norovious, which causes vomiting and other miserable conditions, is highly contagious and can be difficult to contain due to its resistance to most disinfectants. A similar outbreak in counties to our south earlier this year hit upwards of 4,000 people, eventually spreading from Woodland to West Sacramento and Davis, despite several school closures and extensive decontamination efforts, according to a Humboldt County Department of Health and Human Services news release on the South Bay school closures. A significant number of students from Eureka City Schools are sick from an outbreak of what Public Health officials believe to be Norovirus. Based on advice from Public Health officials, all Eureka City Schools’ sites (Alice Birney, Grant, Lafayette, Washington, Winship, Zane, Eureka High, Zoe Barnum, Winzler, and Eureka Adult School) will be closed on Thursday, December 21st and Friday, December 22nd in an effort to prevent further spread of the Norovirus illness. This closure includes all school-sponsored sports and other extracurricular activities. According to the Department of Public Health, infected people typically show symptoms within 12 to 48 hours of exposure to the virus. Contagion is believed to last at least 24 hours after recovery. According to the Centers for Disease Control and Prevention (CDC), the virus causes an acute inflammation of the stomach and intestines. People catch the virus by accidentally ingesting stool or vomit from an infected person.This typically happens by consuming contaminated food or liquids, touching contaminated surfaces or objects and then putting your fingers in your mouth, or sharing food or utensils with someone who is infected. There is no cure for Norovirus, which generally passes on its own within a few days. The CDC notes that it cannot be treated with antibiotics, because it is a viral, rather than bacterial, infection. Drinking lots of fluids is recommended to replace those lost during the course of illness. Hand washing is the best defense. Wash hands frequently throughout the day with soap and water. Hand sanitizing gels and wipes are ineffective against the virus. Clean contaminated surfaces thoroughly with a strong disinfectant such as bleach. Even then, the virus is often extremely difficult to contain. It can survive on surfaces for weeks, and few disinfectants are effective against it. Eureka City Schools’ staff is working closely with Public Health officials in limiting the spread of illness. An increase in student absenteeism believed to be related to a norovirus outbreak has prompted Humboldt County Health Officer Dr. Donald Baird to recommend the closure of the 10 schools in the Eureka City Schools District. These schools are Alice Birney Elementary, Eureka High School, Eureka Adult School, Grant Elementary, Lafayette Elementary, Washington Elementary, Winship Middle School, Winzler Children’s Center, Zane Middle School and Zoe Barnum High School. The closure will take effect tomorrow morning. Baird’s recommendation comes on the heels of increasing numbers of children reported to have symptoms consistent with the highly contagious virus, which forced closure of three schools last week. Absenteeism rates at all Eureka City schools have climbed since Tuesday, ranging from 13 percent at Washington to 32 percent at Zoe Barnum. As of yesterday, no schools in the Eureka City district had reached the 20 percent threshold. There is no cure for norovirus, which generally passes on its own within a few days. The CDC notes that it cannot be treated with antibiotics, because it is a viral, rather than bacterial, infection. Drinking lots of fluids is recommended to replace those lost during the course of illness. Symptoms include nausea, fever, vomiting, stomach pain and diarrhea. An outbreak in Yolo County earlier this year sickened an estimated 4,000 people, and despite exhaustive decontamination efforts resulted in the closure of several schools. The illness spread from Woodland to schools in West Sacramento, Winters, Esparto and Davis, including U.C. Davis.